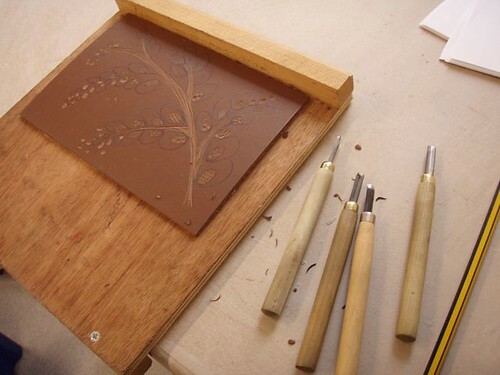 A couple of weeks ago I did a day-course in reduction lino printing. It was great! It was such a treat to be at a course rather than teaching a course. It was really useful for giving me an insight into what its like for my day-course students. 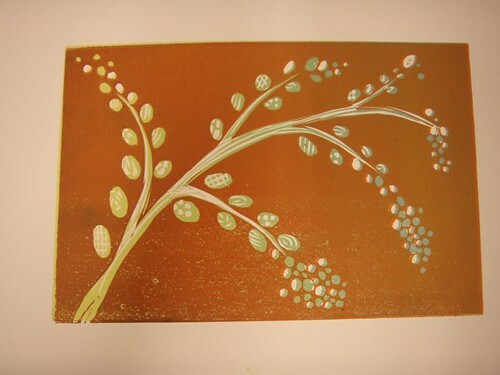 The course was run by Sarah Kirby, a local printmaker and organised by Leicester Print Workshop. There is more of Sarah’s gorgeous work here. 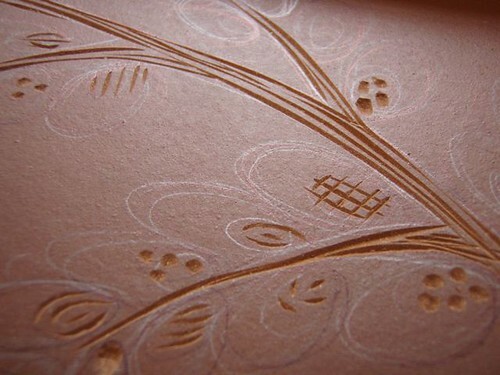 then you continue cutting away and printing successive layers. Normally you would cut away most of the block in the block and just have detailing left in black or a strong colour in the last print. But I was awkward (or rather my design was) so I ended up doing the last cut as my background which meant it all came out black. There wasn’t any choice of colours, so the black final print colour isn’t what I would have chosen. But still, I’m pretty pleased with the results and learned a lot about the process. I’m thoroughly inspired to make some more prints…..eventually. Well your print doesn’t look awkward even if it was awkward to do. 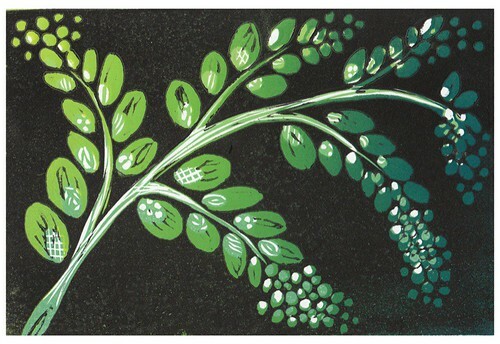 Thanks for the link to the tutorial, I would like to have a go at linoprints one day. It’s been interesting reading about your book as well, I’ve got it on my list to buy when it comes out. 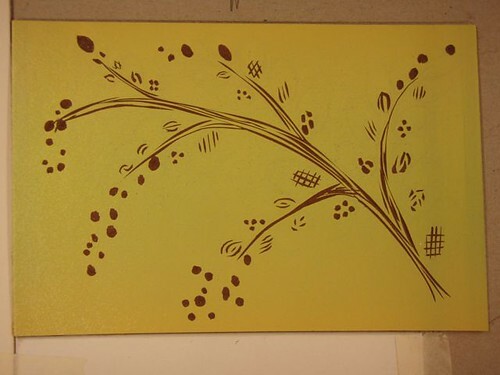 how do you make the print within different colors??? please reply as quick as possible.